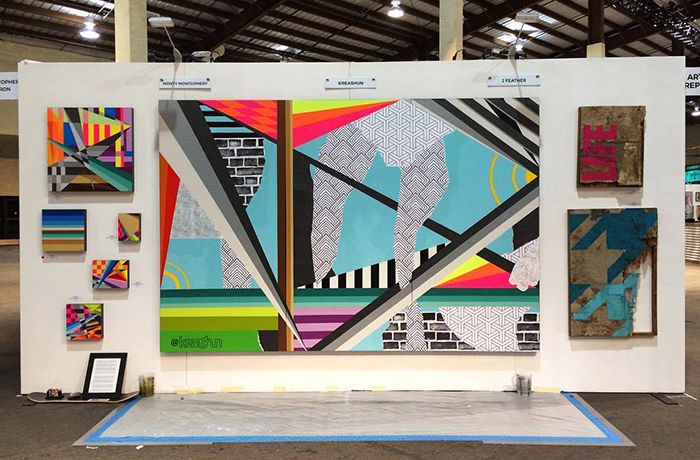 The 6′ x 9′ KREASHUN mural is coming to life at KAABOO! The 6′ x 9′ KREASHUN mural is coming to life! Night one at the VIP opening of KAABOO Music and Arts festival here in Del Mar, California was a blast. The mural and artworks are located at booth #118 in the “KAABOO Gallery”.